ANGRY EMAILS? HOSTILE TEXTS? NASTY LETTERS? The BIFF Response method will help you respond to hostile emails, texts and other communications and make you feel good doing it! Most people have a hard time responding to personal attacks in emails, texts and other communication because it puts them in react mode instead of respond mode. The most important thing to remember is: it’s not about you! BIFF stands for Brief, Informative, Friendly and Firm and can be used by anyone, in any situation but it does take practice. Learn how to write (or speak) using the BIFF Response method to help bring an angry exchange to a quick conclusion, without losing it yourself. Could you respond to this email in a way that would stop or contain the hostility? 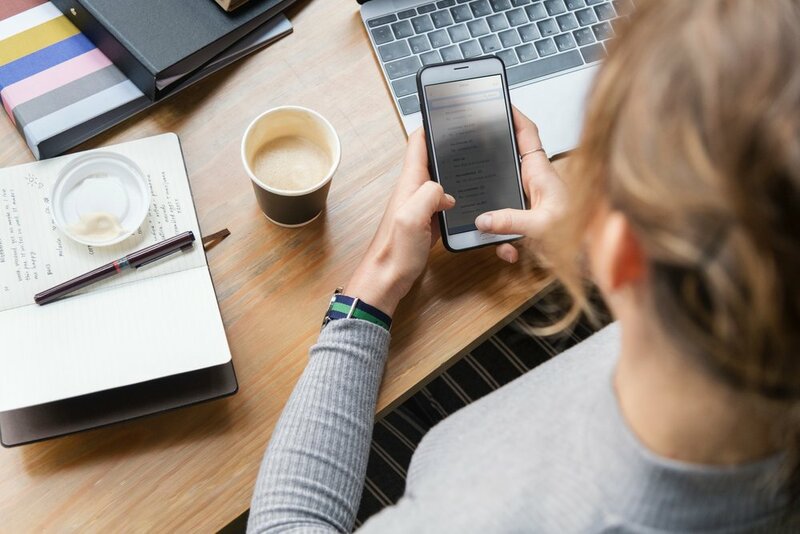 BIFF Responses are specifically designed to help you respond to written hostilities, but it can also be used in person-to-person verbal confrontations. BIFF is Brief, Informative, Friendly, and Firm (don’t let the friendly part fool you). It’s a simple set of tools that’s quick and effective in dealing with today’s High-Conflict communications, and we price it to be affordable to everyone. Check out our products, services and trainings for more information and contact us with questions or comments. Attached is a copy of the travel schedule that I sent to ABC Company…AS I SAID I WOULD!!! You ALWAYS jump the gun and second-guess me. Additionally, you NEVER EVER give me credit for doing what I say I will do! Maybe if you didn’t take so many vacations you would actually know what’s going on around here! But I’ve come to expect nothing different from you. No need for a reply — it wouldn’t be sincere anyway. Sound familiar? What’s going on? Why can’t he/she just STOP IT, already? Why do you get blamed for everything wrong in his/her life? You’ve tried reasoning with the person, but he/she just gets angrier. How can you stop being frustrated with this situation, time and time again? We can help! 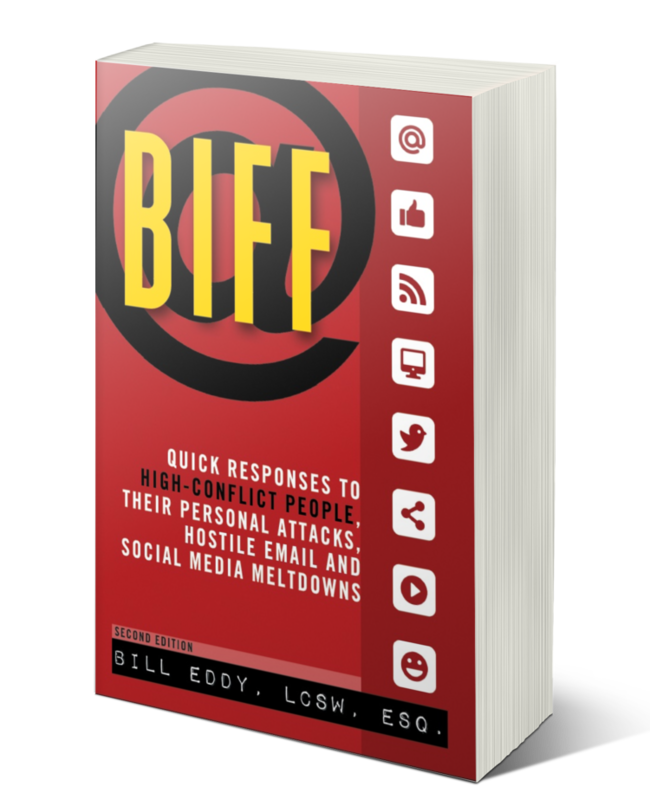 Biff Response coaching teaches you how to deal with personal attacks; especially in today’s world of texts, IM’s, hostile email and web postings, and it works for any type of communication, especially written confrontations. Don’t react or defend – learn how to give a BIFF Response instead. You’ll be respected for it – and feel good too. Coaching is available in all locations by phone, email and/or Skype. Are you in a group or other organization dealing with isolated or ongoing issues with a High Conflict Person(s)? Do you want to learn how to get better results with difficult customers and clients? Want to give your staff a fresh look at handling workplace disputes? Could your students use a lesson in peer communications? Are you interested in being able to train others in writing/coaching BIFF Responses? BIFF trainings are designed to help your organization cut down on lost time, energy and revenue by learning a simple, yet powerful, method to more effectively manage disputes with the most difficult people. Trainings are available in-person or by Skype. Contact us to discuss your organization’s needs, for information on becoming authorized to teach others, and for pricing information. Dennis L. Sharp, Attorney, Facilitator, Arbitrator & Mediator President, Sharp Resolutions, Inc.
Randi Kreger, Author of the Essential Family Guide to Borderline Personality Disorder; Co-Author of Stop Walking on Eggshells and Co-Author of Splitting: Protecting Yourself While Divorcing Someone with Borderline or Narcissistic Personality Disorder. The BIFF Response® method is a trademark of William A. Eddy exclusively licensed to High Conflict Institute LLC.